You may have recently seen Stephanie in 2014 on KSDK Channel 4 reciting “Still I Rise” by Maya Angelou at the end of the episode memorializing her passing. You may have remembered the 13 Flag Funerals in 2015, where Surreal wrote and performed Missouri’s contribution to “The Confederate Flag: A Belated Funeral“, a John Sims Project. 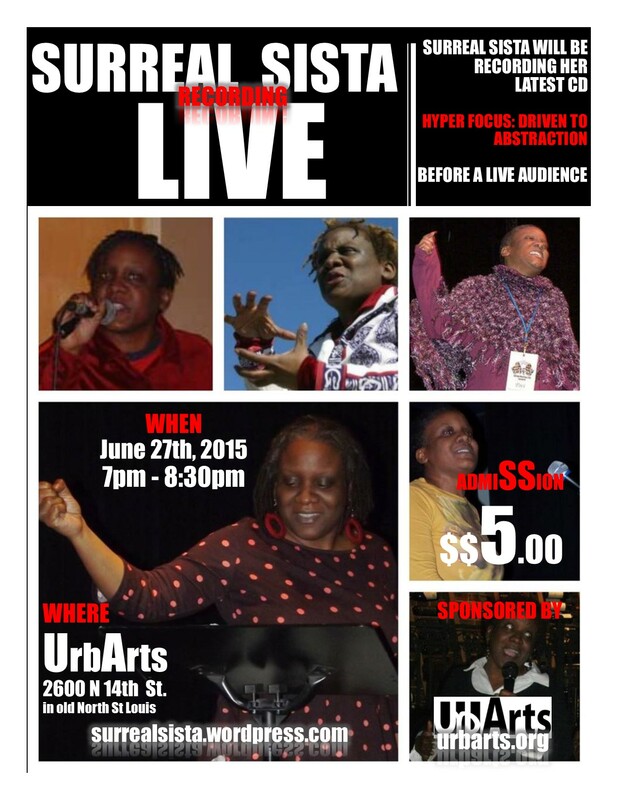 Many of you may recall seeing highly publicized on Facebook the live recording of her autobiographical book: “Hyper Focus: Driven to Abstraction” at Urb Arts, with sound effects and background vocals by Kevin McCameron, Bayleigh Williams and Jazmine Ward. Or you may have caught her during the Fall Semester 2015, where she was a panelist at the screening of Nine Network’s “The Black Panthers: Vanguard of a Nation” presented by Webster University in St Louis. There, she also performed “Dyed Roots”, a poem written about her Uncle Pete O’Neal; one of the founders of the Kansas City Chapter of The Black Panthers, who is in self-imposed exile in Tanzania Africa after being framed by COINTELPRO. A small number of you may have remembered her performing at Mekong Restaurant in 2016 where she created and performed Spoken Beat Breaks, a live showcase of the rhythmic runs of her poetry set to Techno House music spun by DJ Perx. Later that year, without much ado, she gave astrology readings for the series “Music and Predictions” with readings by Psychic Medium and Reiki Master: The Cosmic Doc, while House Music enthusiasts danced to music spun by The Everyday People Project at Blank Space. Fans remember fondly in 2017, special projects with The Cosmic Doc and with the percussion band Amalghemy where Surreal read selected works to tribal drumming at Spark and Pecha Kucha. In October 2018, you may have heard Stephanie open for the Beyoncean Theology episode of Who Raised You? Podcast presented by Treasure Shields Redmond and Karen (Jia-Lian) Yang, with her poem: “Trans-Dimensional Twin Sisters”. Currently, Stephanie performs at festivals, recurring events and showcases. She is a member of Deep Space Killer, a comic book-themed stoner metal band. She is easiest contacted through Facebook Messenger (keyword: Surreal Sista) or email: slowflowportfolio@gmailcom. Feel free to browse this site. Included are poems, videos, a professional artist’s resume and other examples of Surreal’s work. For questions, respond by email or Facebook Messenger. UrbArts will be recording Surreal Sista’s latest works in a CD entitled: Hyper Focus: Driven to Abstraction before a LIVE audience. Included will be all original poetry, stream of consciousness, lyrics and spoken word written and performed by Surreal Sista with other local accompaniment. Hyper Focus: Driven to Abstraction is a collection of autobiographical poetry, odes and remembrances of Surreal Sista’s life experiences from birth to the present. The hard copy version of these works are broken down into 9 chapter books. Revisions of these works were completed in 2012, and are still in progress. For more information on Surreal Sista, browse the pull-down menus in the navigation bar above. Please note: This is the most recent post in a blog series entitled: The Envy In Their Hustle: The Insidious Impact of Millennial Technology on Creative Communication. To start at the introduction of the series, please click here. Spoken Word is a catch-all term used to describe various genres of spoken performance. For this Instagram and Vine Installation Blog I am focusing on Spoken Word Poetry and how it relates to Acting, Journalism and Rapping. I am also focusing on how technology has impacted these forms of creative communication. The spoken word in Rapping is essentially the musical for of Spoken Word Poetry. The popularity of Beat Poetry in the 1950’s was one of the inspirations of modern Spoken Word Poetry. 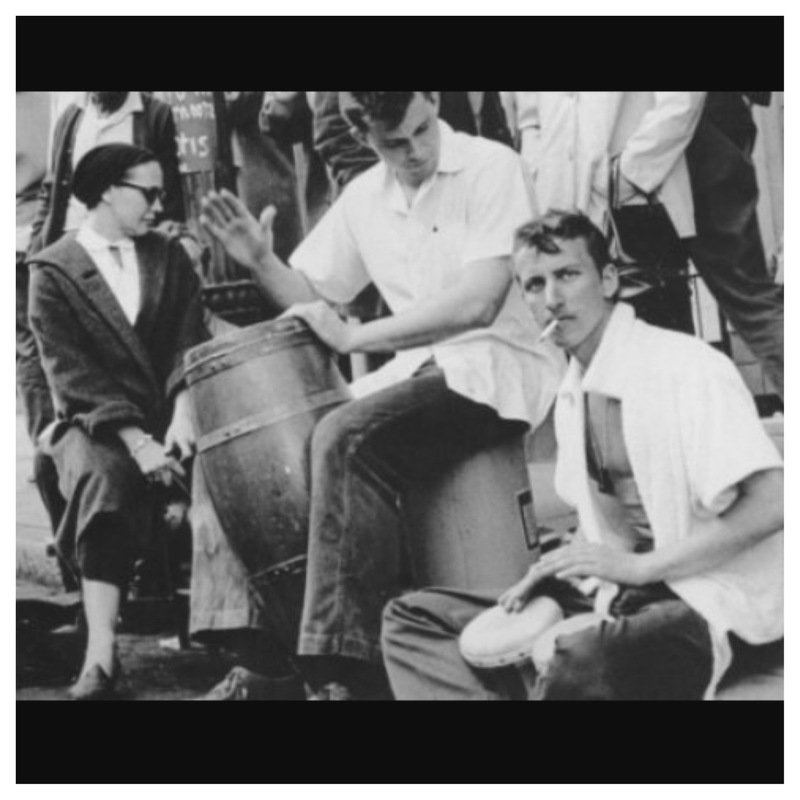 Beat Poetry was recited by the Beat Generation who elevated ordinary prose into stream of consciousness recitation. They spoke about their unique vision of life, incorporating philosophy, politics and a jazzy ensemble. They consisted mainly of underground non-conformist youth. They derived inspiration from the hustlers, drug addicts and thieves living in a “beaten down” downtrodden underworld. From: What is The Beat Generation? By the 1970’s, rap was popularized. Rap also got its inspiration from this same downtrodden underworld. The main difference between rap and beat poetry was in its flow. To “rap” is to speak quickly, just as knocking rapidly on a door was the original meaning of “rap”. In the 1960’s, rap came to mean “to converse” and it was about the cadence in which the person spoke. The flow of modern rap originated in 1978 when Grandmaster Melle Mel changed the flow of conversing to a flow that was more musical in nature; with rhythm similar to improvisational drumming. Below is an example posted to Vine of Grandmaster Melle Mel’s flow in 1978. According to Kool Moe Dee, prominent rapper in the 1980’s, the flow of rap fashioned itself after Grandmaster Melle Mel’s style until 1986. The style of rap has been heavily influenced by the generations. Original rap started out with a message or a story about the underworld in which they lived. The following is a break down of how the generational influence has impacted this type of creative communication. Notice how the introduction of technology in 2002 shifted the dialog to a world that was far from underground or desolate. The lyrics in this song describe the desolate living conditions of the ghetto in the 1980’s, telling a story of Grand Master Flash’s everyday environment in a way that is easy to understand and clearly enunciated. The use of profanity is at a minimum. The music has an electronic quality to it, as most music from the 1980’s did, but the sound is simple, the artists are collaborative working as a team instead of each artist fighting for attention as in modern collaborations. The lyrics in this song display a trend where the lyricism in rap music is appreciated. Don’t Sweat The Technique is discussing the incredible writing ability that Rakim displays through rapping and how other rappers aren’t as top-notch. The music has a jazzy influence much like the backgrounds of the beat poets. It also has a beat conducive to break dancing and other forms of street dancing which is not only inspiring to other creative artists but invites them to express themselves while listening. Fat Joe, Featuring Ashanti – What’s Luv? This video is the introduction of choruses in rap music, where rap lyrics are broken up by a singing chorus. A keen ear will notice the juxtaposition of the rough deep rap voice of Fat Joe against the delicate singing voice of Ashanti. The lyrics describe a club interaction between a rough man and a delicate woman brought together by lust and trust, two other juxtapositions. She describes that love is about trust but goes to the club without her boyfriend. He spends the entire song convincing her she is there to cheat, and by the time she sings the refrain she has become convinced she is there for lust, not love. Further illustrating juxtapositions. This is an example of how more vulgar imagery and hedonistic behavior is also being introduced through rap lyrics during this time era. The lyrics in this song glorifies narcissism, hedonism and arrogance. While the melody is simple and the chorus is catchy, there is not much being said anymore. Like ten years earlier, a man and a woman are both featured in this video, but unlike the earlier era, they are not creatively juxtaposed. The female, in this case Nicki, glorifies her fame and beauty and how it has brought so much money to her that she is as powerful and rich as a druglord. Her fame, riches, power and beauty make her hated by jealous women but she claims to not care. The male rapper, 2Chains, raps about how much he admires her beauty and riches and also joins her in glorifying his own fame and riches. The above video is the re-introduction of sing-rap where the artists are rapping their lyrics in a sing-song melodic way. This trend was first introduced with Rapture by Blondie in 1980. Below is one of the first examples of sing-rap. Through the process of researching and creating this series, I learned that while the impact of technology on creative communication is insidious, it is also immensely helpful. When free reign of all the tools that were reserved for skilled professionals is given to anyone with the right amount of money, we learn a lot about ourselves. We become close enough to each other to realize that what we see on television and movies, read in books and hear on the radio is purely entertainment. What we see in reality is messy, undisciplined, and at times, depraved. Once the window is opened on the rest of the world and all its resources, there’s no shutting it. Even when what we see about ourselves and our neighbors is frightening. Technology’s double-edged sword on one side makes communicating creatively a struggle; the market is saturated with iPhone Photographers, You-Tube films, Reality Television and Internet Journalists. Making a good living from your creative abilities and talents is no longer is possible with a good education and natural abilities. 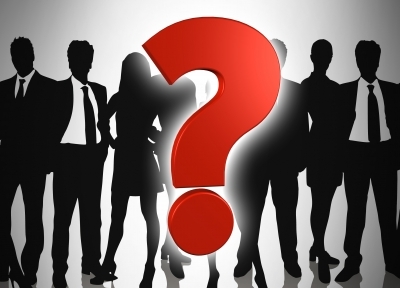 In order to get ahead in our society we must have MBAs or be IT Specialists. On the other side of technology’s double edged sword, creating and distributing information is much quicker and easier. There are still Dramatic Actors, film crews, photographers using real cameras with multiple zoom lenses. There are still Journalists in the field reporting on news and people getting in their cars or riding public transit to watch movies in theaters and plays on stages. The people who are still communicating creatively with the aid of technology have at one time in their past been exposed to a life without technology. The young people of today, the Millennial Generation, grew up in a fully digital society. They were born after America Online was introduced to the public with its high-pitched static and electronic sounds when connecting. Some of these youth are just now breaking into the adult world where creative communication doesn’t mean creating a meme…or does it? Will the youth of today change the landscape of creative communication through the tools of their digital upbringing? That’s for you to decide. Spoken Word is a catch-all term used to describe various genres of spoken performance. For this Instagram and Vine Installation Blog I am focusing on Spoken Word Poetry and how it relates to Acting, Journalism and Rapping. I am also focusing on how technology has impacted these forms of creative communication. The spoken word in Journalism separates news from rumor and in some cases merges the two. Below is an installation over the past 70 years that illustrates the generational impacts on Journalism as a result of technology. The journey begins in 1937 because of the impact that The Hindenburg disaster had on Journalism. Aside from Orson Welles’ War of The Worlds radio show in 1938, that was mistakenly thought of as breaking news, the impact of The Hindenburg coverage was one of the most significant in Journalism history. The journey ends with a summation of each of the past 7 years due to the exponentially changing landscape of technology. Spoken Word is a catch-all term used to describe various genres of spoken performance. For this Instagram and Vine Installation Blog I am focusing on Spoken Word Poetry and how it relates to Acting, Journalism and Rapping. I am also focusing on how technology has impacted these forms of creative communication. The spoken word in acting is vital to its message. Body language and non-verbal communication in Acting are key components to nuanced sophisticated stories. 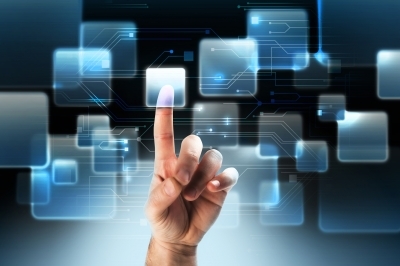 Technology has separated the audience from non-verbal communication within Spoken Word. A generation of people more interested in popularity and money than the merits of a well-written and executed performance has evolved from the separation of the actor and his audience. Evidence of a shifting creative focus can be seen in the type of performances that entertain the Millennial Generation. 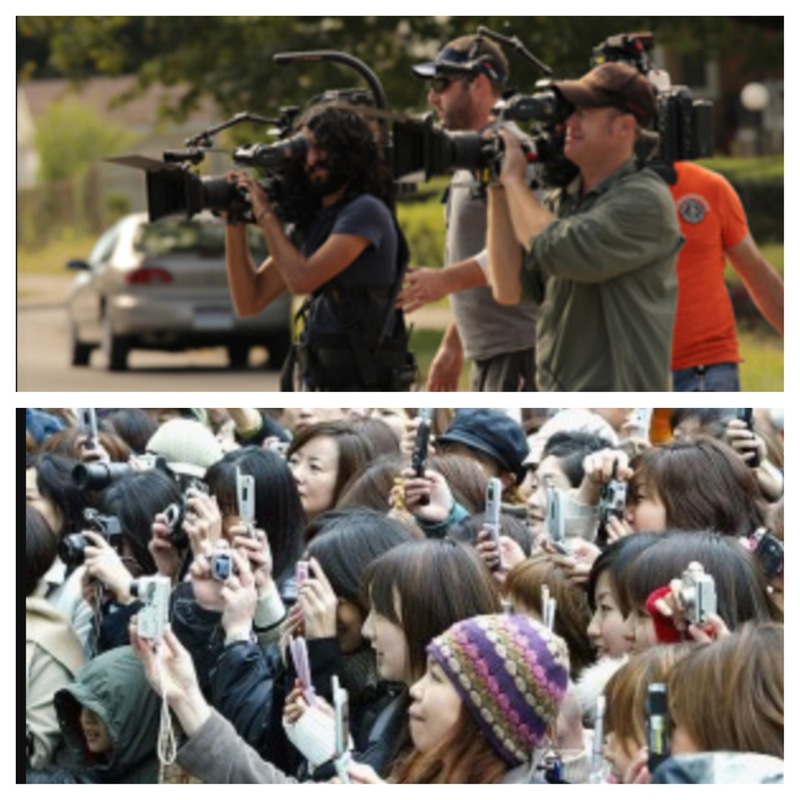 Reality Television and viral You Tube videos capture the essence of technology’s impact. Below are comparisons between performances before the introduction of modern technology and after. 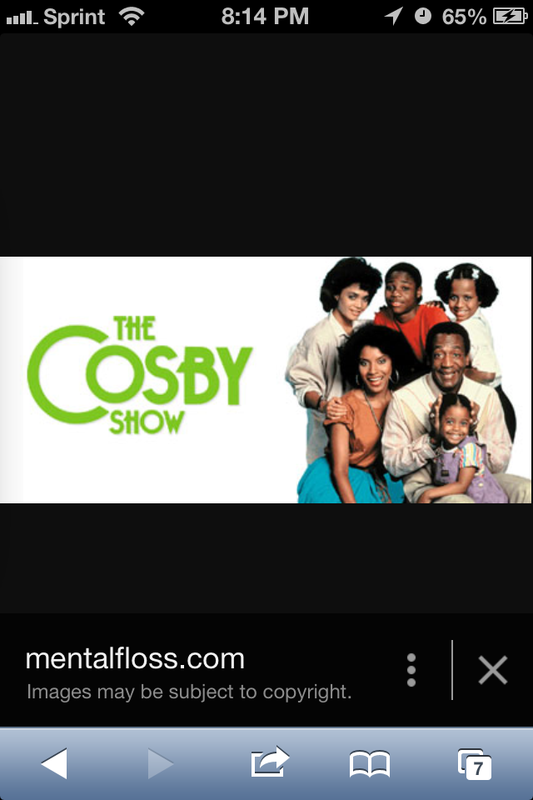 BEFORE: The Cosby Show was a situation comedy show that ran for 8 seasons from 1984-1992. It focused around an upper-middle class African American family living in Brooklyn. The children were raised by a strong and authoritative mother who had a career as an Attorney and a mild mannered father who was an Obstetrician. Some critics felt The Cosby Show inaccurately left its white viewers believing that racism and poverty were a thing of the past. Despite the reservations of their critics, the Cosby’s taught their audience important and moral lessons about difficult issues such as teen pregnancy, juvenile delinquency and dyslexia. The show is inspired by Bill Cosby’s stand-up act, which revolves around his real family, and is a portrayal of fiction about fact by award-winning professional actors. 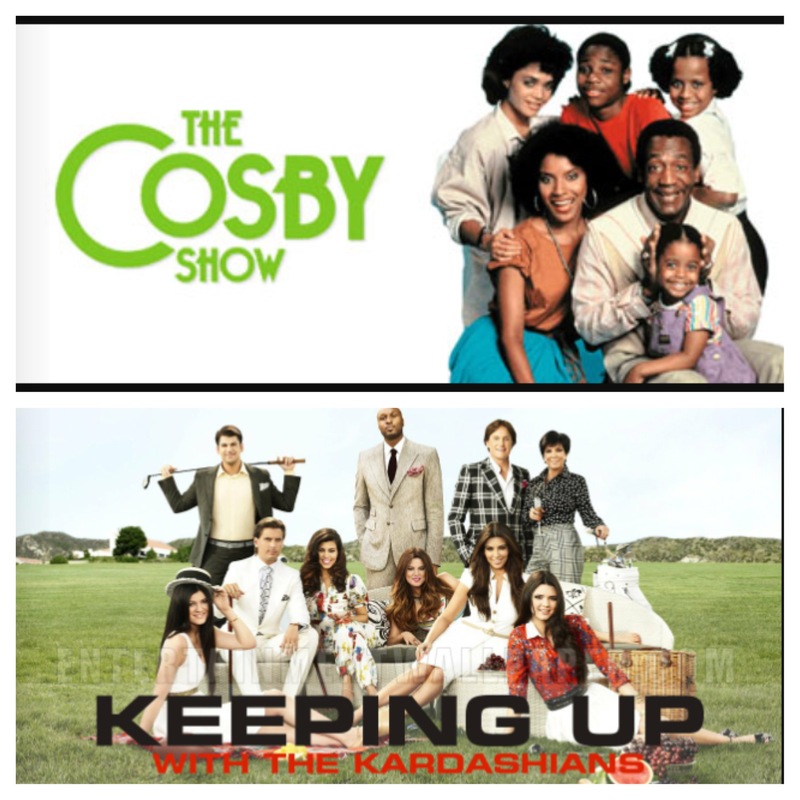 AFTER: Keeping Up With The Kardashians is a reality show that has been running since 2007 for 8 seasons. It chronicles the lives of a blended family; the result of Bruce Jenner, his wife Kris Jenner, their children together and their children from previous marriages. The family is chaotic, dysfunctional, wealthy and most importantly famous. The children were raised wealthy and famous and know nothing else. The most widely recognized fame is derived from Bruce’s Olympic career. Bruce was the 1976 Olympic Gold Medalist in the Decathlon. He went on to act in various television roles and remained relevant for many years. Kris Jenner is famous for being the ex-wife of lawyer Robert Kardashian. The program encourages fame for the sake of fame: an endless cycle where publicity stunts feed tabloid journalism which feeds further pointless fame which feeds program ratings. The show allegedly does not follow a script and the roles are not played by professional actors, with the exception of Bruce, whose role is actually minor. Before technology, the topic of using the toilet was addressed in an entertaining way: with a choreographed musical using a toilet as a prop. In this Vine video, the audience is made to think of how dirty toilets are and the best way to keep them clean for a long time. The jingle has a written message, its tune is catchy and the singers are singing on-key. The routine is choreographed and the performers are dressed professionally. The target audience seems to be young adult women juggling taking care of their home with being working professionals. The commercial admits that women are still expected to fulfill the role of a maid, but also addresses that women are also professionals and lead busy lives where they cannot be cleaning toilets 4 times a month. This commercial tells a story about the generation of that time, and that story is not impacted by technology. After technology, the topic of using the toilet is addressed in an entertaining way: with a buffoon using the toilet. In this Vine video, the audience is made to think of how they dirty their toilets and the best way to pass time while doing it. The improvised chant has no real message, its tune is catchy but is purposely chanted off-key. The performer is also doing an improvised potty dance while seated and is dressed like a maid. The target audience seems to be The Millennial Generation juggling boredom with using the toilet. The video admits that Millennials have grown up in an environment where creative storytelling is a thing of the past and Reality Television is best when the characters are dysfunctional and candid. The fact that this video went “viral” is evidence of the impact technology has made on the generation of the time. Below are Vine videos illustrating the generational impact of technology. Here, dramatic performances that entertained a pre-technology generation are compared with viral videos that entertain the Millennial Generation. In this courtroom scene, Keanu Reeves gives a riveting performance as a man threatened by the psychic abilities of his wife’s friend played by Cate Blanchett. In a twisted storyline, Reeves is a “redneck” who cheats and beats his wife and is accused of killing the Governor’s daughter, with whom he was having an affair. The Governor’s daughter was found dead in a lake on Reeves’ property and the town psychic had a vision of her death before she was found. Here, Reeves is expressing his anger at the town psychic advising his wife to stay away from him and the implication that he murdered the Governor’s daughter. His belief is that he’s been framed by the psychic who in some magical way has orchestrated an elaborate conspiracy involving his destruction. Reeves’ portrayal of this twisted storyline in these few seconds is believable and disciplined, balancing story and emotion. The talk show Geraldo was one of the earliest approximations of Reality Television. Although the show’s 11 season run occurred before modern technology, it still had a major influence on post-modern Reality TV. It is a combination of Talk Show, Tabloid News, and Reality Television. In the video here, John Metzger has just finished calling Roy Innis an “Uncle Tom”, Roy loses his temper and grabs John by the throat. Shortly thereafter, an all-out brawl ensues, involving the audience, the guests and crew. This brawl was unscripted, unexpected and undisciplined. John Metzger is a Klansman and Roy Innis is a Black Activist. Neither involved party is an actor reading a script. The balance of story and emotion is completely thrown off here. As a result, the episode was one of the most infamous in history. This video is captured from the New Year’s Eve scene in When Harry Met Sally. Here, Billy Crystal’s character Harry proclaims is honest love for Meg Ryan’s character Sally by listing off the little things she does that the audience originally thought annoyed him. The message here is that when you love a person, you love the annoying parts of them, too because that’s what makes them who they are. Like the prior Dramatic Performances, this film was released during the 1980’s. It illustrates how the pre-technology generations were impacted by the absence of technology and what types of spoken word were considered entertaining. This video is taken from a video posted on Facebook by a young woman named Romina Garcia. She has over 150,000 fans, so naturally the video went viral. The disturbing part here is the message this video sends: when you love a person you love how they will risk getting arrested and spending money to be bailed out to teach you a lesson. I’ll be honest, her argument didn’t make sense, and is likely something she regurgitated from her boyfriend’s philosophy, since she’s heard it so many times. In fairness, this video received a lot of backlash from critics, but at the same time she is quite famous among her generation and followers. She has a Facebook page where she is considered a role model to hundreds of thousands of young people, yet she seemed pretty brain dead. Possibly from all the beatings. You be the judge. Creative communication is a process of sharing a piece of one’s inner essence. 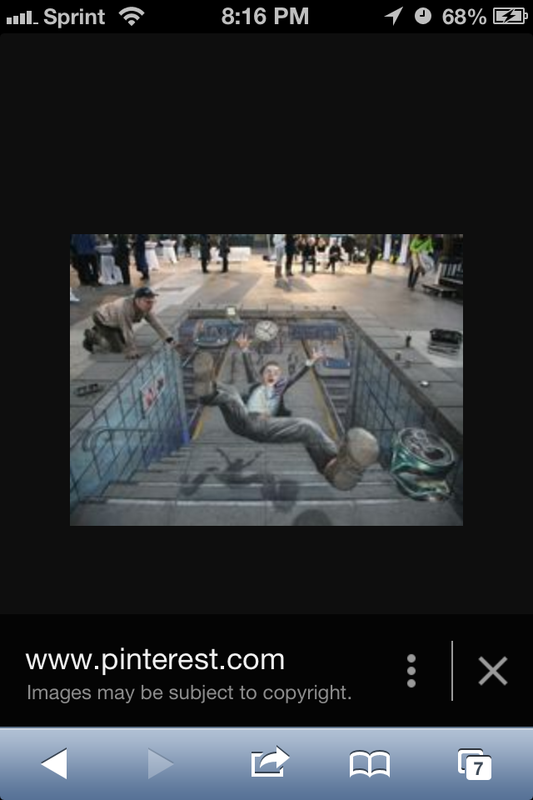 Above is a chalk drawing done by Julian Beever that appears 3 dimensional when viewed through a camera or camera phone. When those who are greedy for attention and money take advantage of the abilities of creative communicators it crosses the line between admiration and soul robbery. During England’s Stuart era, writers such as Shakespeare were regarded as the highly intelligent elite by the illiterate public. This is partly because they appreciated how difficult it was to read and write and understood how special a person was if they could do so creatively. …wherein popularity and fame are considered highly regarded by the public, and substance and purity have fallen by the wayside. …in addition to traditional poetry. It is a crossover genre that became popularized during the Beat Generation. to one that has no human face at all. Technology has erased the face of creative communication. The spoken word, in all its forms, is a lost art. Today, social media has replaced human contact at an alarming rate. Instagram has replaced photojournalists and comedians with everyday people who know nothing about the ethics of photo sharing, privacy, tact or entertainment value. 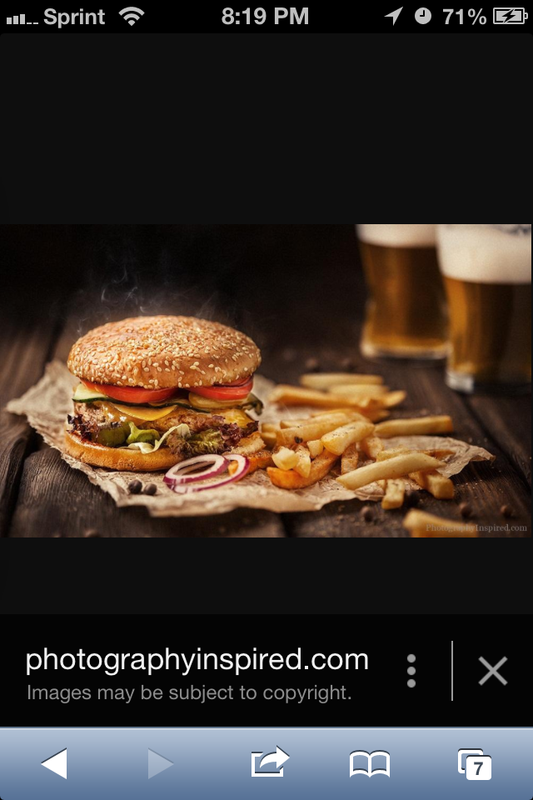 Above, a skilled professional has captured the essence of the dish. 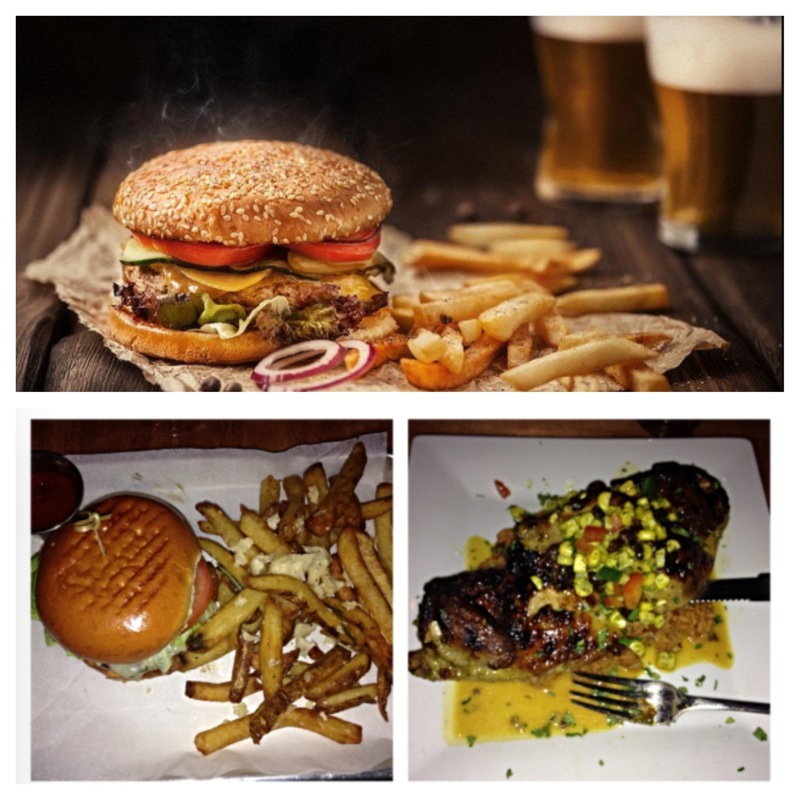 Below are two similar photos taken by an amateur that were posted to Instagram. They were likely captured with a camera phone, and don’t quite capture the mood, lighting, perspective or balance of the professional photo. Vine has replaced the video camera. 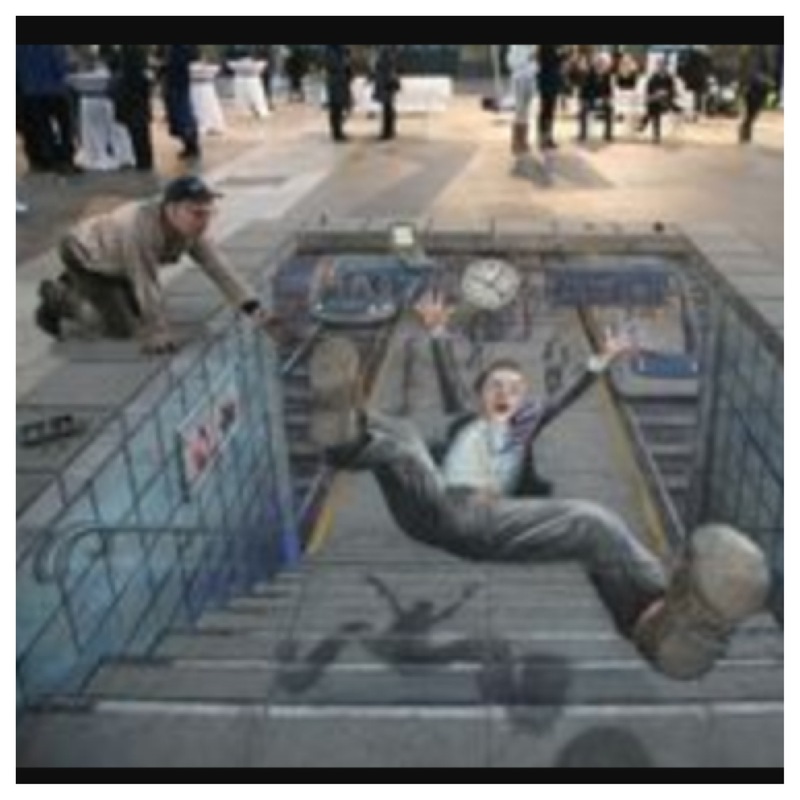 It has also replaced the time and energy required to become a skilled audio visual technician. Above, video footage was captured by a skilled professional camera crew before smart technology was introduced. 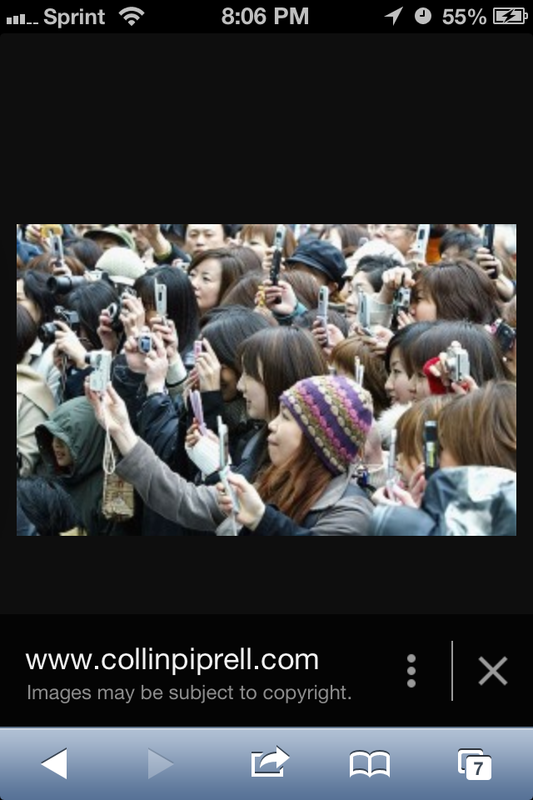 Below, a camera crew now consists of a fleet of everyday fans with smart phones. The imperfect beauty found in the back story of a man-made montage is scrubbed away. Resulting in a sterile, rushed replica. Communication sometimes becomes confused or badly taken out of context when the information is thrown together impulsively. It’s great that the Millennial Generation has access to tools of self soothing that keep them occupied and engaged in creative activities. Some truly phenomenal creative people that lacked the funding and exposure necessary in promoting their craft have had the advantage of You Tube to start their careers. nor are they interested in the philosophy behind the creative decisions they make. This type of ambivalence has devalued the importance and awe in the special abilities of talented people and their pre-technology natural abilities. Evidence of a growing ambivalence can be found in reality television, weblogs and You Tube videos relying heavily on auto tune and other digital technology that masks their lack of talent. When those who are greedy for attention and money take advantage of the abilities of creative communicators it crosses the line where admiration ends and enters the realm of soul robbery. During England’s Stuart era, writers such as Shakespeare were regarded as the highly intelligent elite by the illiterate public. This is partly because they appreciated how difficult it was to read and write and understood how special a person was if they could do so creatively. This type of appreciation was showcased on stages at amphitheaters for the entertainment of the literate elite and the illiterate common person. 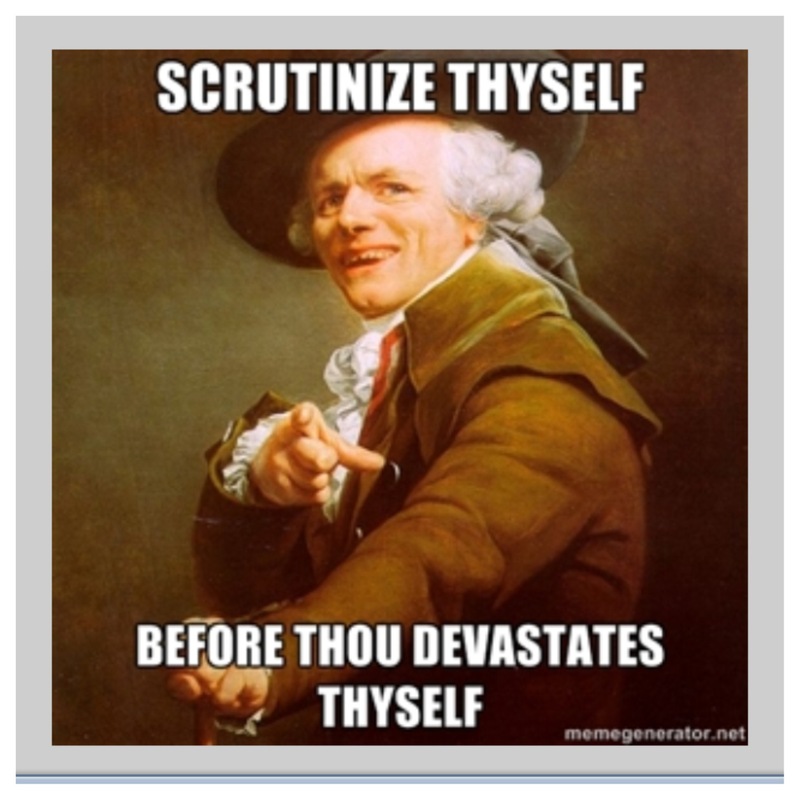 The emergence of technology has allowed opportunists to exploit the creative works of others for personal gain, it has also given a world stage to those without these abilities wherein popularity and fame are considered highly regarded by the public, and substance and purity have fallen by the wayside. 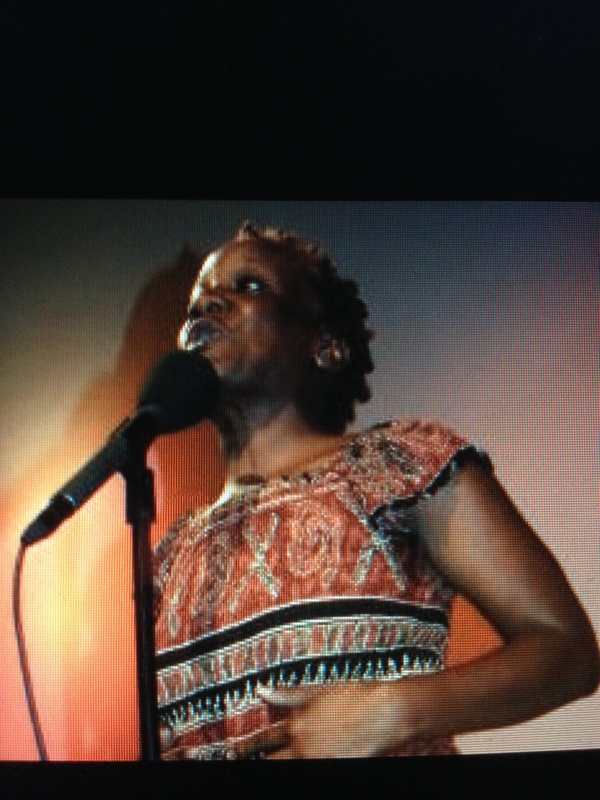 Spoken Word Poetry is derived from acting, journalism and rapping in addition to traditional poetry. It is a crossover genre that became popularized during the Beat Generation. Vine has replaced the video camera, the time and energy it takes a skilled audio visual technician to record and edit montages and footage. Before technology, in order to film something with merit, you needed learned skills and years of experience. Today, a film crew consists of a few dozen camera phones held by amateurs. It’s great that the Millennial Generation has access to tools of self soothing that keep them occupied and engaged in creative activities. Some truly phenomenal creative people that lacked the funding and exposure necessary in promoting their craft have had the advantage of You Tube to start their careers. However, there is a much larger number of people who do not have skill or talent, nor are they interested in the philosophy behind the creative decisions they make. This type of ambivalence has devalued the importance and awe in the special abilities of talented people. Evidence of a growing ambivalence can be found in reality television, weblogs and You Tube videos relying heavily on auto tune and other digital technology that masks their lack of talent. The emergence of Beat Poetry in the 1950’s was one of the inspirations of modern Spoken Word Poetry. Beat Poetry was recited by the Beat Generation who elevated ordinary prose into stream of consciousness recitation. They spoke about their unique vision of life, incorporating philosophy, politics and a jazzy ensemble. They consisted mainly of underground non-conformist youth. They derived inspiration from the hustlers, drug addicts and thieves living in a “beaten down” downtrodden underworld. 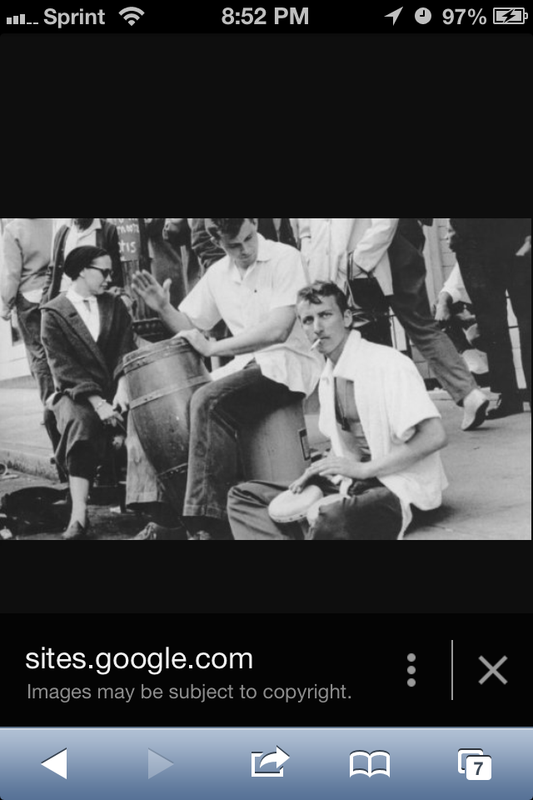 Here, typical artists of the Beat Generation in their natural environment. By the 1970’s, rap was popularized. Rap also got its inspiration from this same downtrodden underworld. The main difference between rap and beat poetry was in its flow. To “rap” is to speak quickly, just as knocking rapidly on a door was the original meaning of “rap”. In the 1960’s, rap came to mean “to converse” and it was about the cadence in which the person spoke. The flow of modern rap originated in 1978 when Melle Mel changed the flow of conversing to a flow that was more musical in nature; with rhythm similar to improvisational drumming. 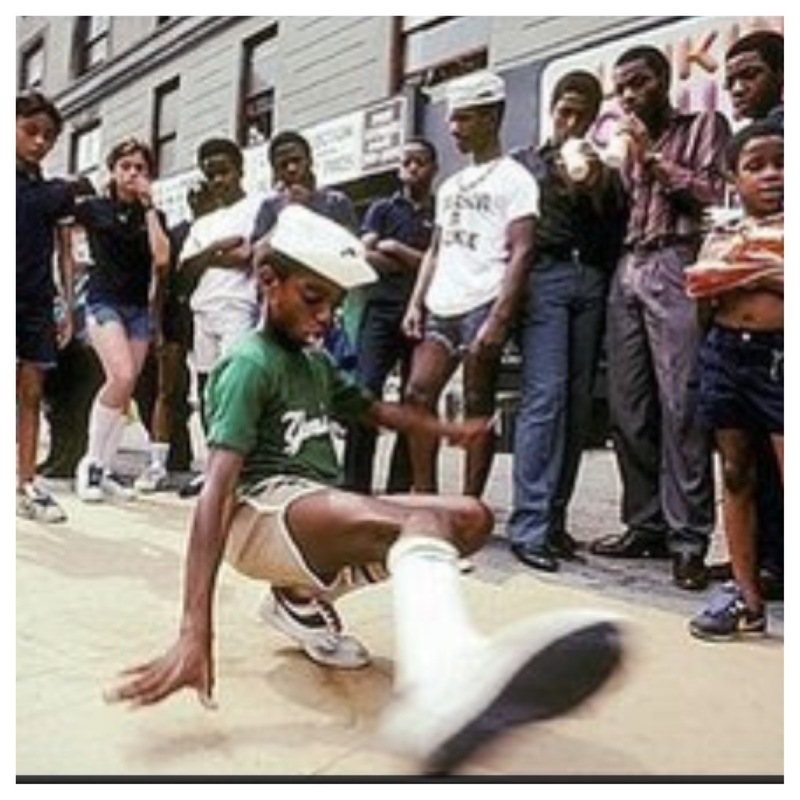 Typical break dancers of the Hip Hop culture in their natural environment. The lyrics in this song glorifies narcissism, hedonism and arrogance. While the melody is simple and the chorus is catchy, there is not much being said anymore. This is the re-introduction of sing-rap where the artists are both singing and rapping their lyrics. This trend was first introduced with Rapture by Blondie in 1980 but didn’t catch on the way it has today. Like ten years earlier, a man and a woman are both featured in this video, but unlike the earlier era, they are not creatively juxtaposed. The female, in this case Nicki, glorifies her fame and beauty and how it has brought so much money to her that she is as powerful and rich as a druglord. Her fame, riches, power and beauty make her hated by jealous women but she claims to not care. The male rapper, 2Chains, raps about how much he admires her beauty and riches and also joins her in glorifying his own fame and riches. Here I plan to discuss how technology has affected journalism in a photojournalistic format. These will be Instagram photo posts. 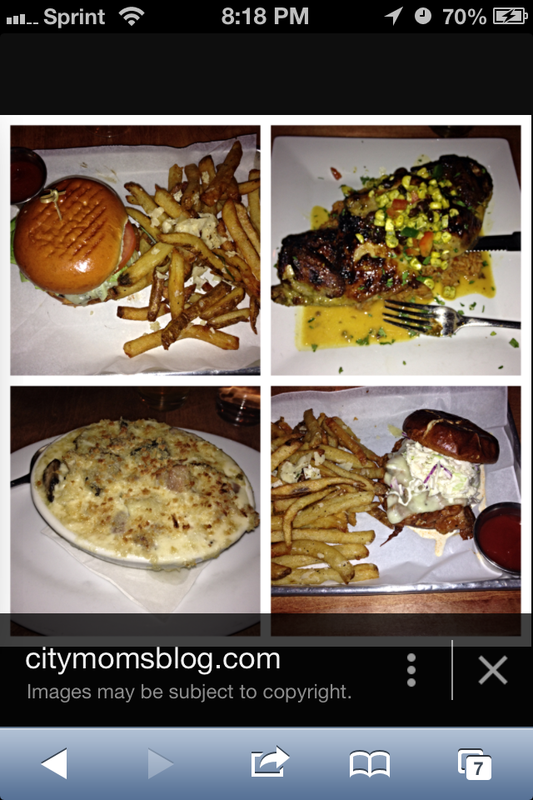 Instagram photo gallery still in progress. Here I plan on discussing how technology has affected acting, from reality shows to You Tube videos. I plan on using Vine videos here to illustrate how the emergence of technology has made everyone lazy. I will compare acting from pretechnology days with what’s been generated today. Before technology, shows like this were performed by professional actors and the script had a responsible message. Today, reality shows like this are not well written, if at all, and provide little value in its lessons. It is purely for the entertainment in morbid curiosity. The following are vine videos that will be incorporated in the text above to illustrate how technology has affected acting. Example of a riveting performance. Example of ordinary people performing poorly. Example of well produced ad about an everyday product. Example of a viral video by an everyday person about an everyday product through the device of everyday buffoonery. Example of a responsible message through scripted dialog. Example of an irresponsible message gone viral.